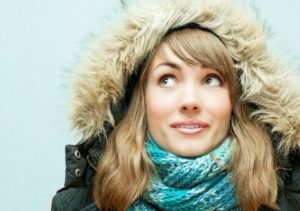 Bundle Up - AutoNetTV Media, Inc.
About 35% of policy owners shop their car insurance in a given year. Less than half will actually switch. That puts customer retention in the mid 80% range. When an insurance agent also writes a second line of coverage (home owners, renters, etc. ), his client retention improves by about 10%. When the client also has life insurance with the agent – as a third line – odds are he or she will be a customer for life. Automotive service and repair businesses also see an increase in customer retention as they bundle services by adding lines like preventive maintenance, repair, and tires. Some are seeing advertising bundled packages of services: “Get Ready for Fall” for $139.99. Now, because of my job I like to patronize a variety of service locations to sample the experience and see what I can learn. I’ve been to every kind of place from dealerships to a glass company (for a power window regulator). But, since I’m spending my own time and money, a lot of my service decisions are driven by the same things that any other consumer would consider. Helping our customers sell more tires has been on my mind lately. If pressed to tell you my favorite tire chain, you might be surprised that it is not the one where I buy most of my tires. I’ve always had a great customer experience and received good value – but they only do tires. So when I go in for my free rotation, I can’t get an oil change. That requires another trip to someplace else, so I have to decide which is more valuable: saving $25 on a free rotation or an hour out of my Saturday. Either way, it dilutes the perceived value of using my “favorite” tire retailer. So, I usually buy tires from a business where I can get additional services (over the life of the tires) done at the same time. To increase customer retention and add additional lines to the repair order, more and more service and repair business are adding tires to the mix; and more and more tire retailers are adding additional services. What I have observed is that often these businesses aren’t very good at promoting ALL products and services they offer, especially the lines that have not traditionally been part of their lineup. OEs continue to offer tires for sale (even though the public doesn’t think of them when they need tires). Now my dealer had this very nice 42” TV on the wall of the service lounge. It was turned off. I couldn’t help but think how great an AutoNetTV Digital Menu Board would look playing on the TV – showcasing the tires they sell, highlighting their service packages and reminding (and motivating) my half dozen fellow waiters to ask about other needed services. My dealer, and all of the other providers I patronize, don’t have time to sit with me and talk about every product and service they offer – but a digital menu board has nothing but time. Bundling up is a great business strategy, but it takes time and discipline to cover the bases with every customer. Simplify your life with a digital menu board that’s always on and always putting your best foot forward.